Successfully enabling a human to live and work in the vacuum of space requires a broad array of technologies, from textiles to hard goods to electronics. Space Suit design is predicated on two things: 1) Where you are going, and 2) What you are doing. Where you are going addresses the environment into which you are sending the suited astronaut. Considerations such as micrometeoroids, thermal variations, and dust are included. These considerations are primary functions of the space suit as a life support system. What you are doing depends on the goals for the mission. Are you deploying a habitat? Are you performing geologic experiments? Are you searching for life? The ‘doing’ question addresses the productive purpose for sending the astronauts to their destination. In this keynote, I will discuss these considerations and how they are realized in current and future space suit design. Amy Ross leads the development of NASA’s extravehicular pressure garments, better known as space suits. She has served in this role since 2010, and has managed and contributed to suit development projects since 1996. Her early work focused on the space suit glove, one of the most intricate and crucial components of the entire assembly. 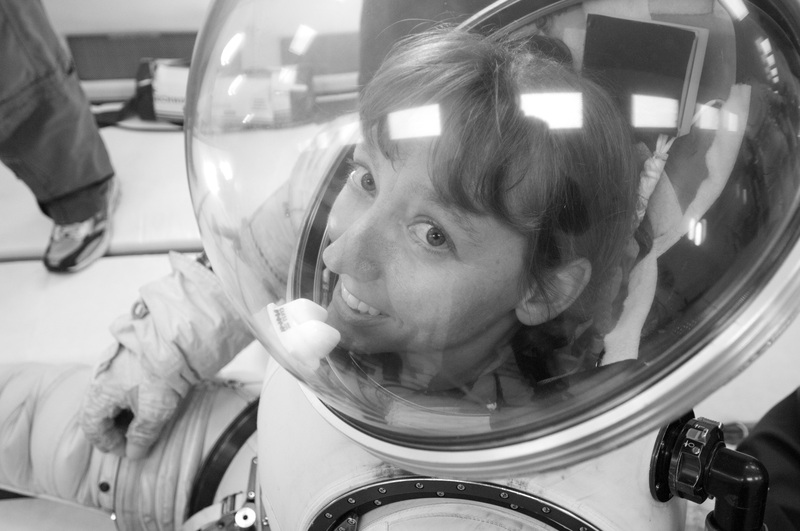 Most recently, she is leading the development of the Z-2 space suit, the first suit designed for surface exploration to be tested in a human-rated vacuum chamber. She also oversaw the development of its predecessor, the Z-1 suit, which was named one of Time Magazine’s best inventions of 2012.